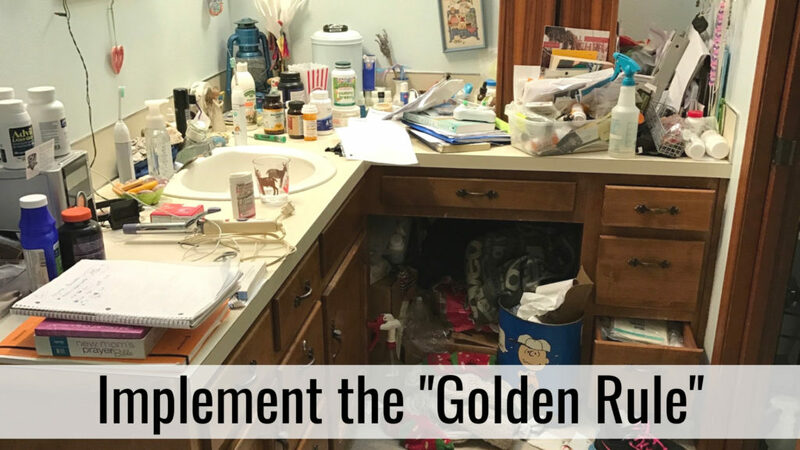 What I’ve learned over the past nearly 20 years of being in people’s homes is that holiday hospitality suffers when your home is disorganized. People living in disorganized homes are overwhelmed. They are embarrassed of their homes and they invite people over less and less. Hospitality comes to an end, along with a sense of community. One major benefit of getting your home organized is that an ordered home is a hospitable home! Whether you enjoy hosting large groups over the holidays, or you just want to stop cringing when someone knocks on your door, these simple tips will help you get started. I identify three types of spaces in every home – public, private, and storage spaces. Public spaces are those like the living room, dining room, entry way, kitchen, and guest bedroom and bathroom. Private spaces such as the bedrooms, master bathroom, laundry rooms, etc are primarily used by the residents of the home and are not often seen by guests. Storage spaces include closets, garages, sheds, and other spaces that are used for storage. 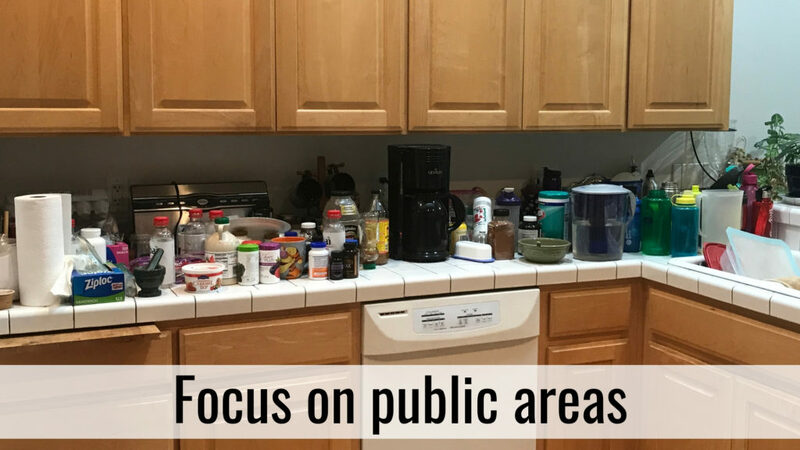 If your whole home needs organizing and you’re overwhelmed for the holidays, focus on organizing your public spaces first. These spaces are going to help you narrow your focus and create spaces where you can comfortably offer hospitality. Remove overly personal items from the spaces such as medication, medical devices, and mail. Guests don’t need to be seeing these items. However, avoid shuffling these items and dumping them in your private spaces! Take the time to find a home for these items, pruning as you go. 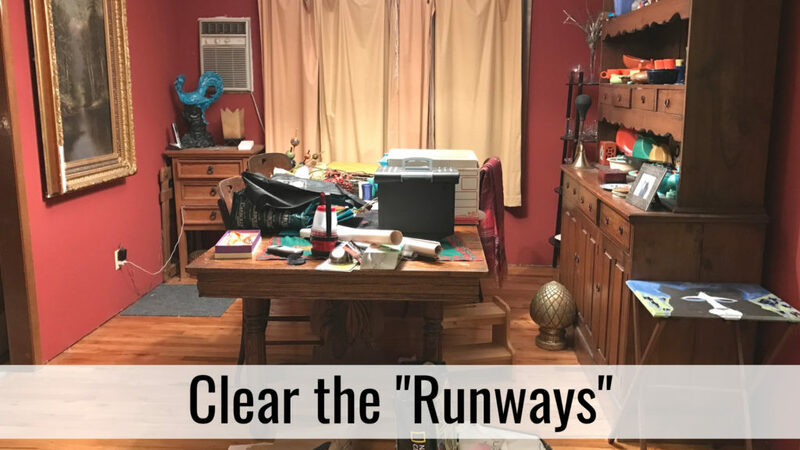 I’m sure you could quickly identify the “runways” in your home. Those are the surfaces such as the dining table, kitchen counters, and entry tables where anything and everything lands. These surfaces offer so much real estate that they become landing strips for our paper, projects, and clutter. When you’re organizing your home for holiday hospitality, focus on first impressions and your mealtime spaces. Go outside your home and enter the way your guests will enter. Look around for “runways” that are visible from that entry and clear those off. Remember, put the items that have “landed” there in their homes – not on the floor of your private spaces! Next, focus on your mealtime spaces such as your kitchen counters and your dining table. Once you’ve reclaimed those spaces put out a nice table runner, candlesticks, a fruit bowl, or fresh flowers. Stake a claim to the newly cleared space so it doesn’t devolve back to dumping ground! The entryway is where we can extend a spirit of welcome to our guests. To tidy up your entryway for holiday hospitality, walk up to your front door (some of us rarely do this!) with the eyes of a guest. Take 20-30 minutes to spruce up the area: weeding, sweeping, dusting cobwebs, putting out flowers or a wreath, or perhaps a welcome sign. This quick tune-up sets the stage for your home. Inside your entryway, consider a coat rack or shoe basket for guests. This can help control creeping clutter and will make guests feel at home and cared for. Nobody feels comfortable in a dirty bathroom or sleeping in a guest room stacked to the rafters. Step back and think about how you’d like to be treated as a guest and tackle those spaces first. Walk through your home with a guest’s view in mind. Things you get used to seeing look different to a newcomer! To take it a step further, think of special ways to extend holiday hospitality. Maybe it’s providing a fluffy robe in your guest bath, a bedside tray with reading materials and a sweet treat, or leaving directions by your coffee maker for early risers. Your hospitable flourishes will depend on your home and your guests, but thinking outside the box about how to really make people feel at home is both fun and rewarding. It is so helpful to have someone link arms with as you organize your home for holiday hospitality. Our order restorers do this everyday! We come alongside people and help them reclaim their homes and their lives, and there’s no better time to do that than during the holidays. I encourage you not to try to go it alone. 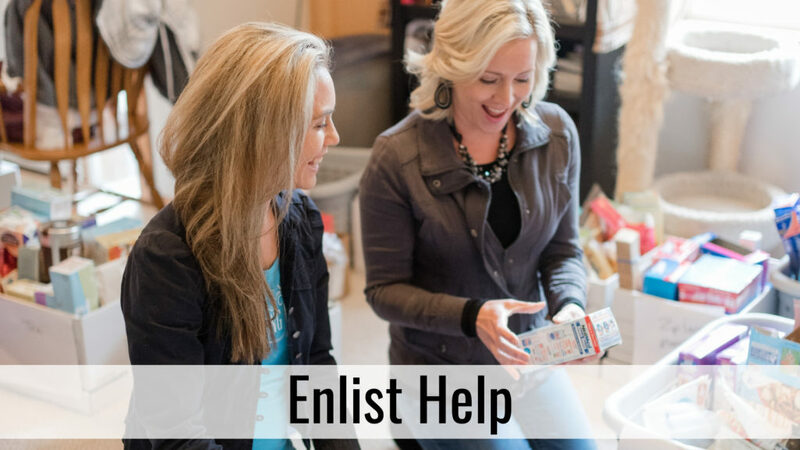 Ask for help and enjoy the community that comes with it. 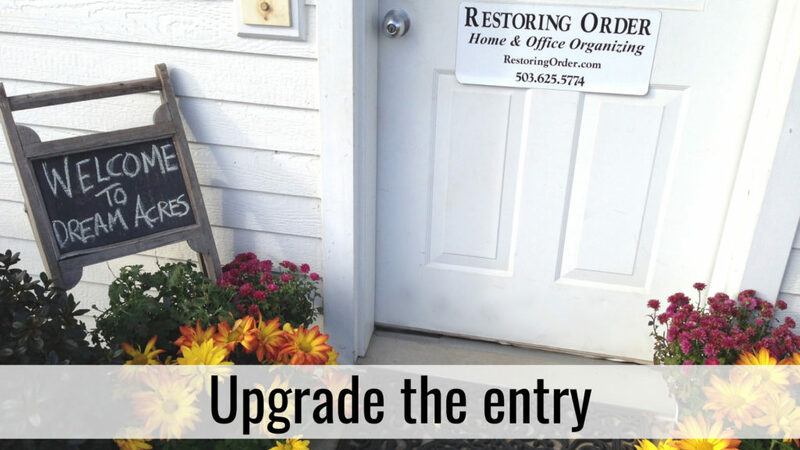 If you’ve enjoyed these tips and would like to dive deeper into preparing your home for the holidays, sign up to receive 5 free chapters from my book Restoring Order to Your Home. 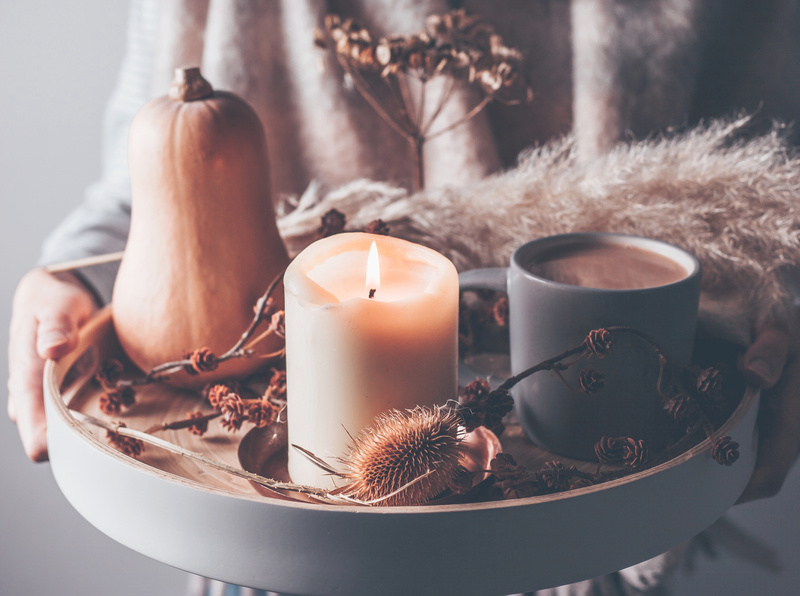 I’ve hand-picked the chapters that will get your home ready to extend holiday hospitality this season.